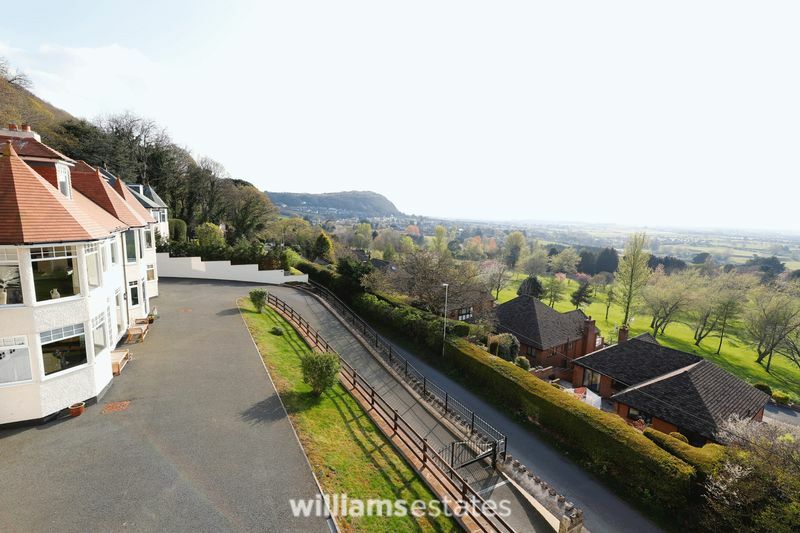 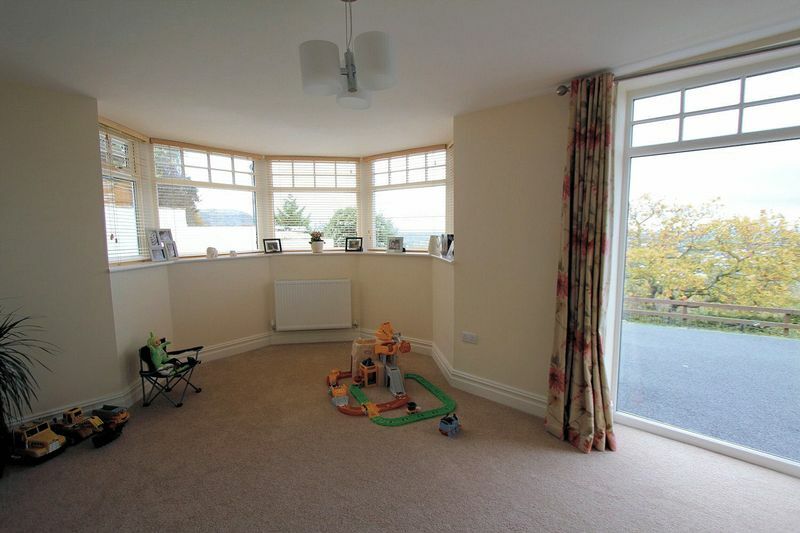 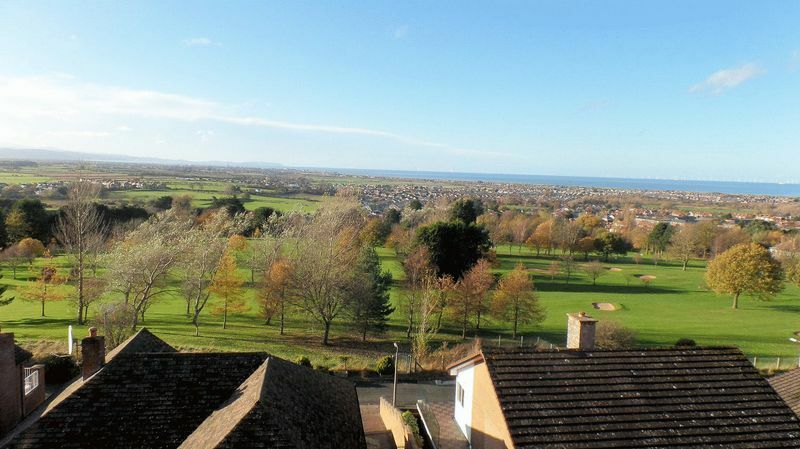 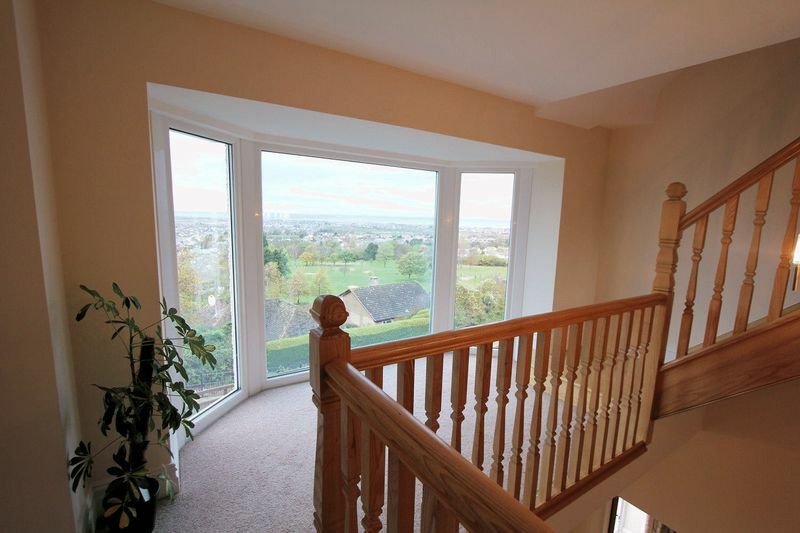 A superior detached family house boasting panoramic views over Prestatyn, North Wales coastline and with the Snowdonia Range in the distance. 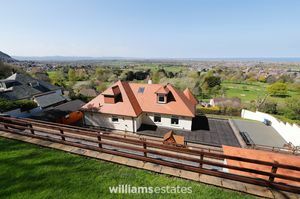 Set on a deceptively spacious plot with views from every aspect, externally and internally and offers oil fired central heating, underfloor heating to most ground floor areas, solar powered domestic water system and security and camera system. The accommodation boasts ground floor sitting room. 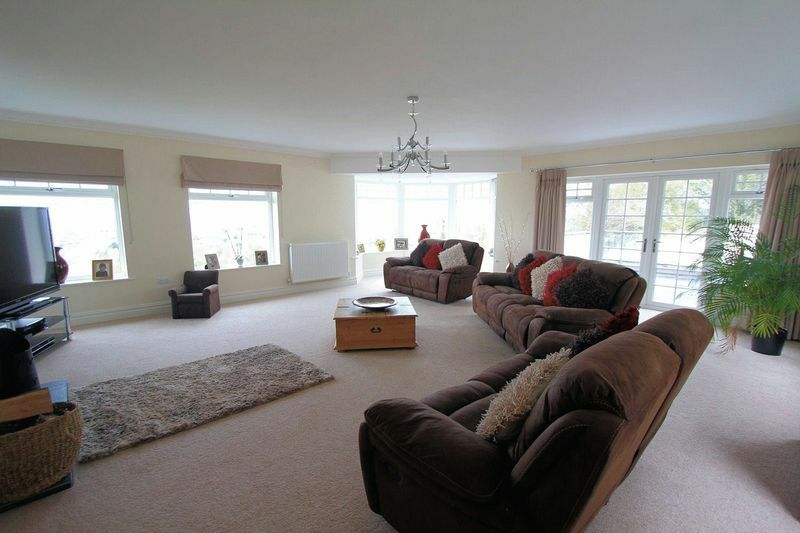 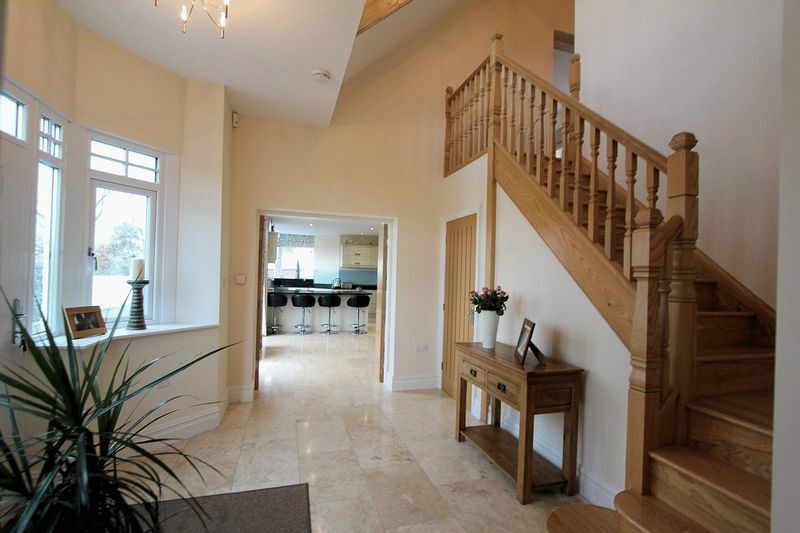 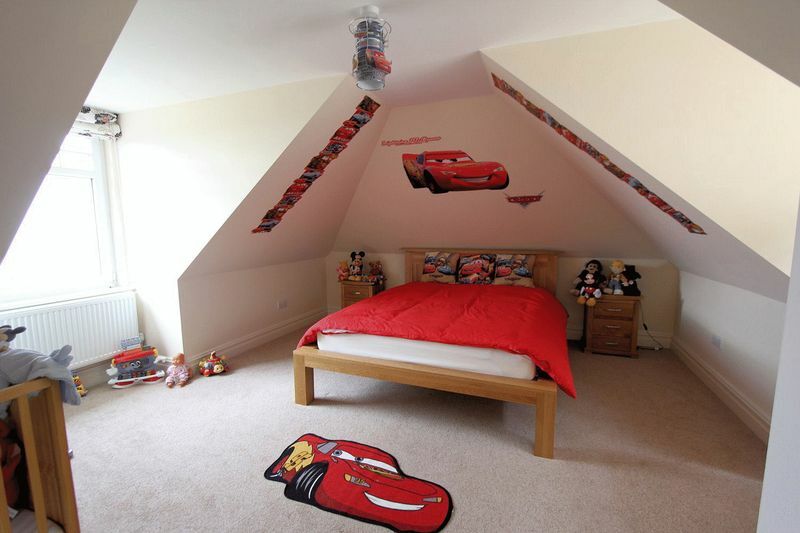 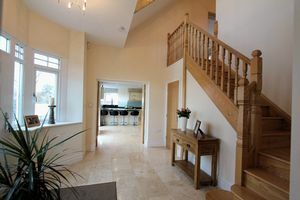 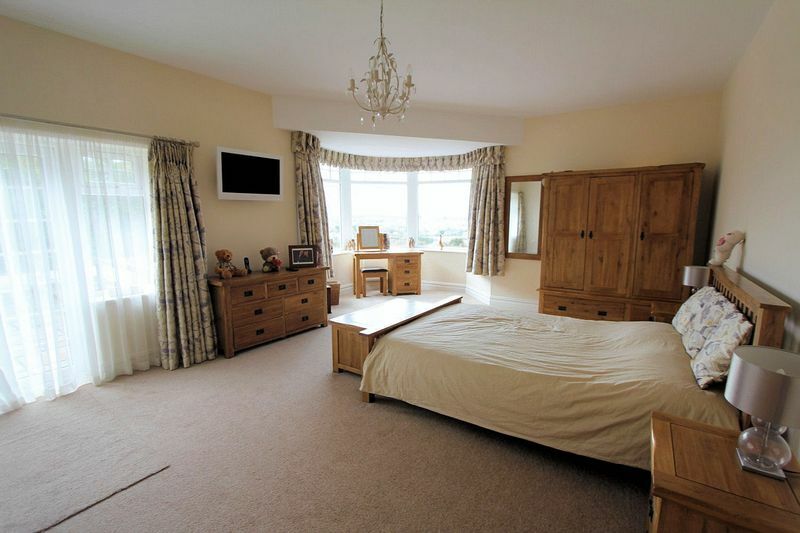 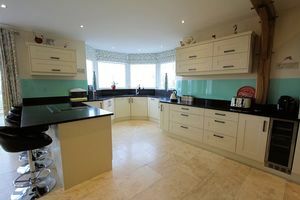 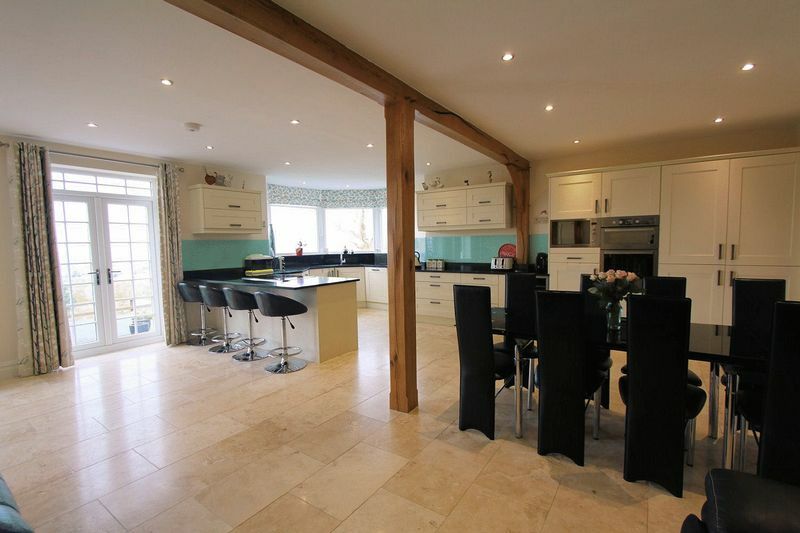 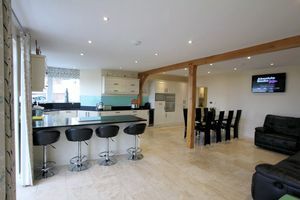 bedroom, open plan kitchen and family room with utility room, gym and shower room off. 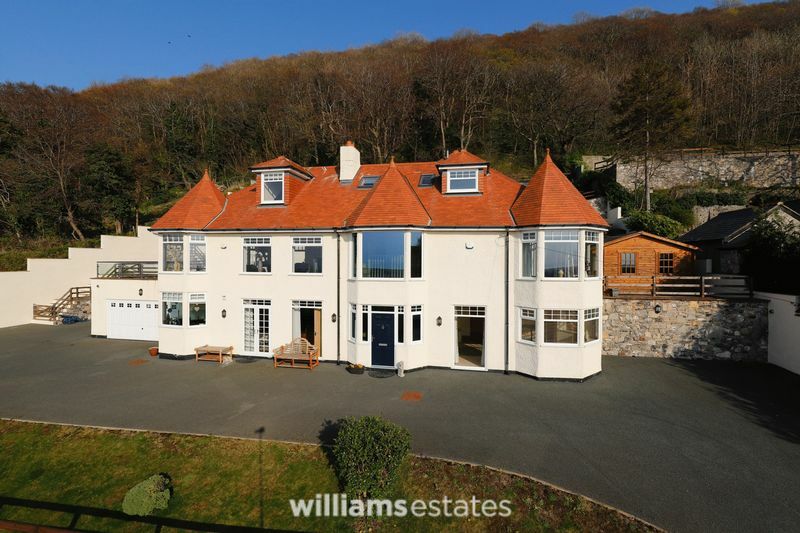 To the first floor a 26ft living room with surrounding window offering stunning views, master bedroom with en suite and further bedroom, gallery landing again with stunning views leading to the second floor with two further bedrooms, one with en suite and bathroom. 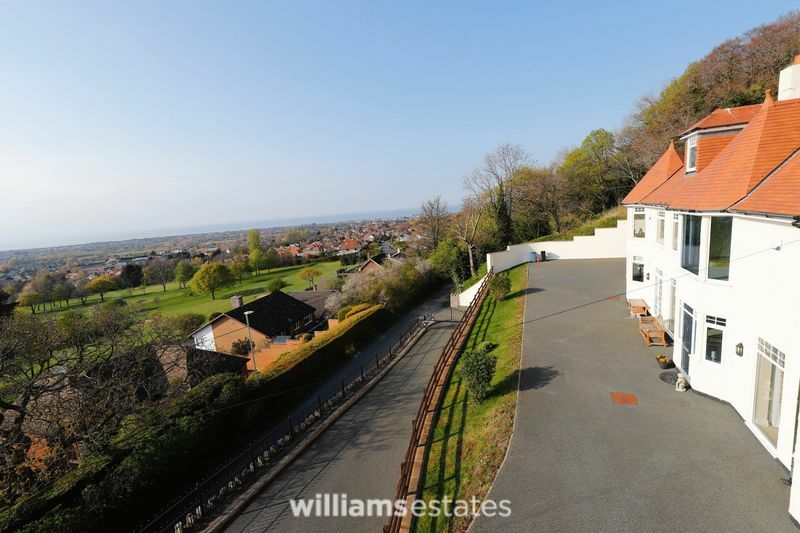 Within the grounds electric entry gates, ample off street parking, integral double garage, gardens set within tiers and woodland gardens to the rear. 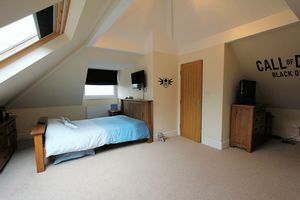 Ready to move into, suiting all needs. 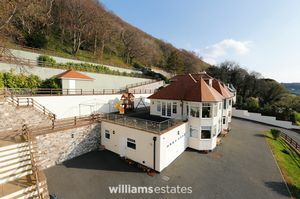 Therefore viewing this property is a definite must to fully appreciate the accommodation, gardens and especially the views. 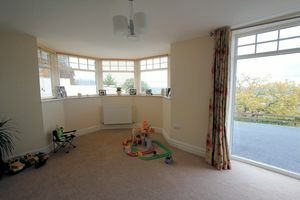 EPC rating C 78. 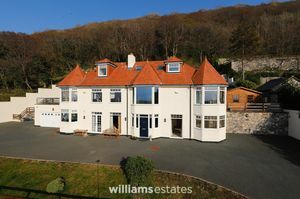 Set on a deceptively sized plot with tarmacadam driveway with electric wrought iron gates with the sweeping tarmacadam driveway continuing to the front elevation and double garage, outside lighting and ample off street parking. 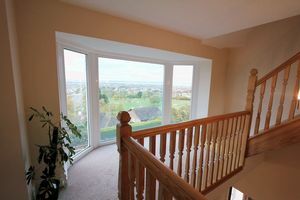 Steps lead to the first tier of garden with the patio off the living room and master bedroom and large paved patio with panoramic views. 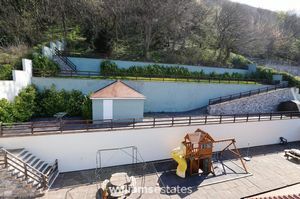 Access to a large boiler room housing the boiler, solar powered water tank and electric fuse boxes. 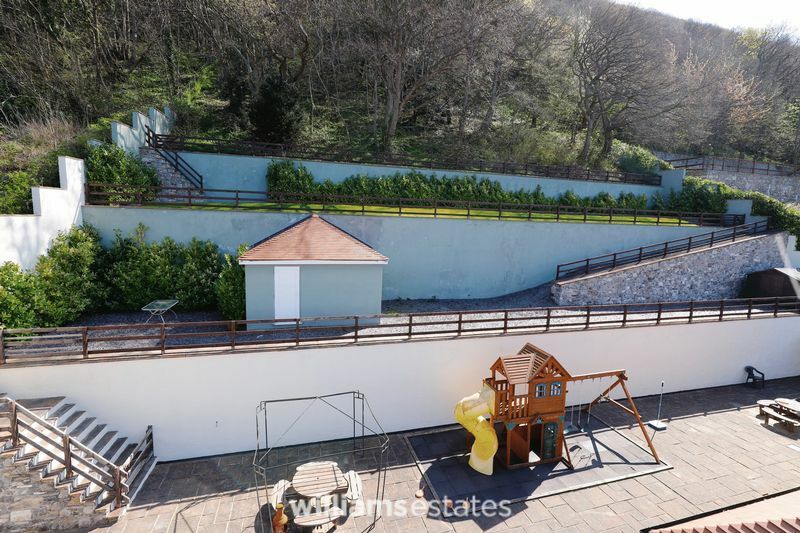 Further steps lead to the second tier with lawned garden and fencing with further steps the woodland area ideal for adventure play for children and chickens.